Looking for a meal that will REALLY impress? 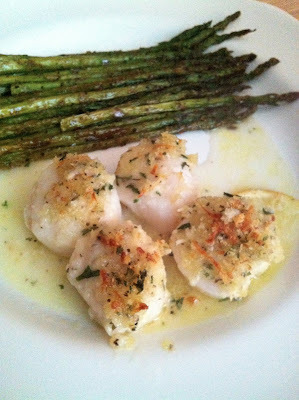 These scallops are really not even describable. But I'll try. They are rich, silky, buttery little pieces of heaven in a lemony truffle sauce topped with just a bit of crunchy panko and parmesan. Omg. You have to make them! They're super easy and quick. 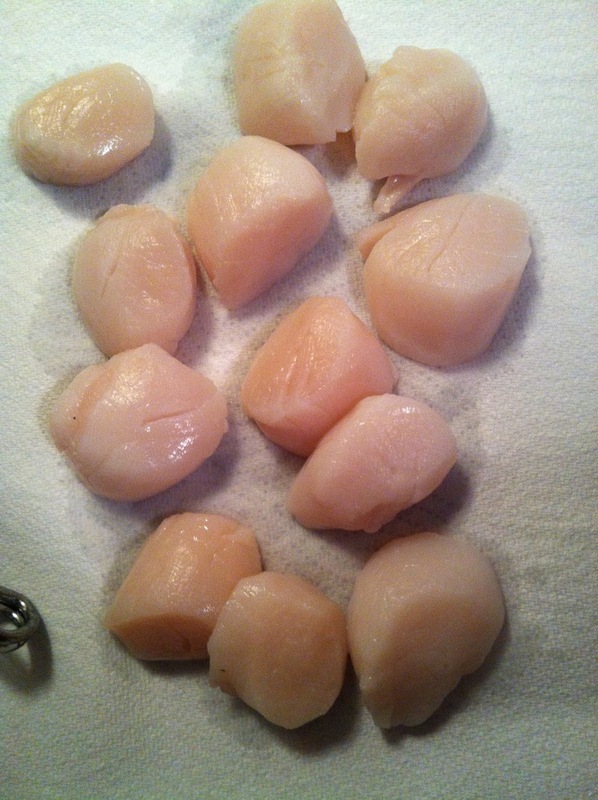 Just be sure to buy some large, good quality sea scallops. Real truffle oil. Good EVOO. Real, hand-shredded cheese. And you will NOT be disappointed! Serve them with asparagus or a salad for a summer meal that's decadent but still light. Perfect! 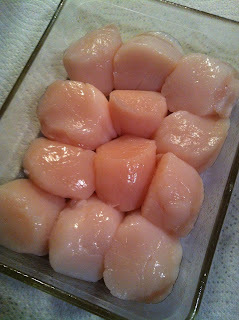 You need about a pound (maybe a little more -- I used about 1.25 lbs) of fresh sea scallops. They should be pretty big -- 8-12 per lb. Dry them off with paper towels. Arrange them side-by-side in a small baking dish sprayed with cooking oil. You could also cook these in individual ramekins for an extra fancy presentation. In a bowl, mix together the following: 1.5 tablespoons of melted butter, 1 tablespoon of olive oil, 1 teaspoon of truffle oil, and the juice of half a lemon. Pour all over the scallops. 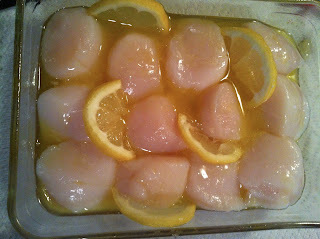 Cut the other half of the lemon into thin slices and arrange around the scallops. 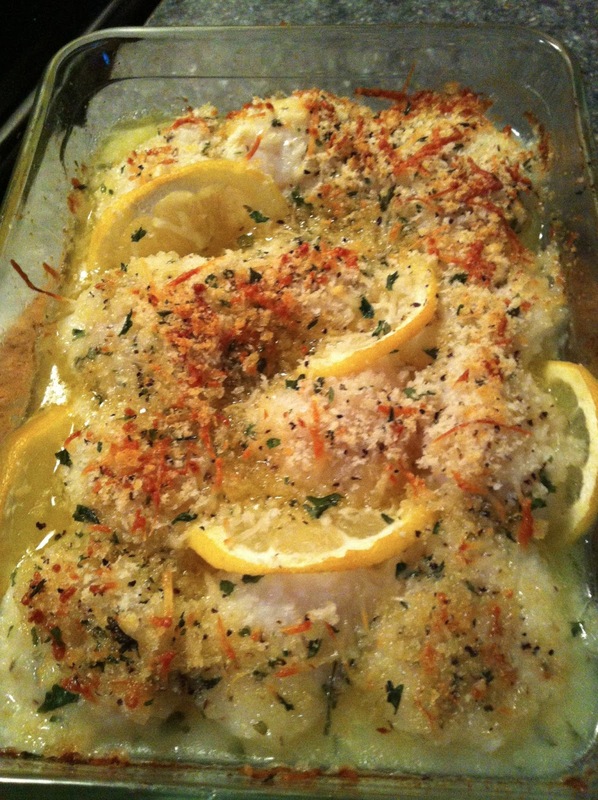 Now, mix 2 tablespoons of panko, 2 tablespoons of grated parmesan, 1/8 teaspoon garlic powder, 1 teaspoon dried parsley (or use fresh), and 1/4 teaspoon each sea salt and course ground pepper (or to taste). Sprinkle all over the scallops. Bake at 425 degrees for 12-14 minutes. -Arrange scallops in a small baking dish or in individual ramekins sprayed lightly with cooking oil. 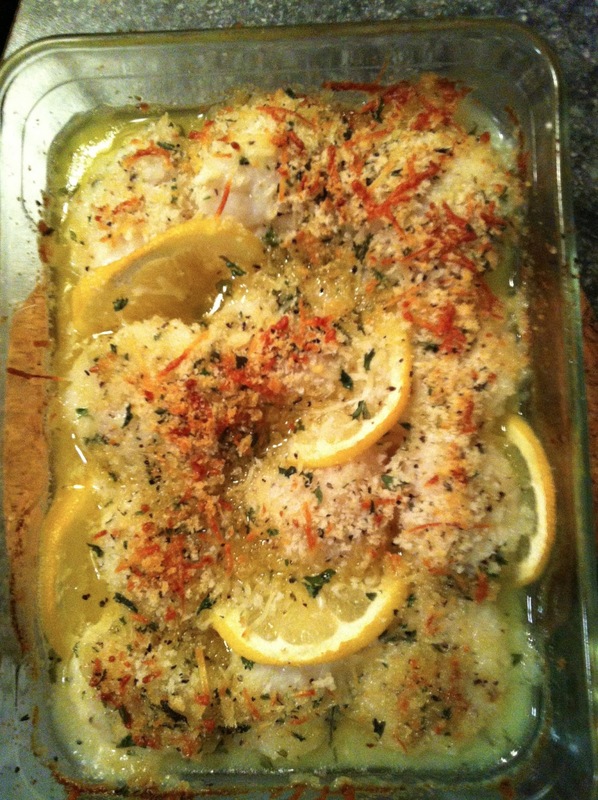 -In a small bowl, mix together melted butter, oils, and the juice of 1/2 the lemon. 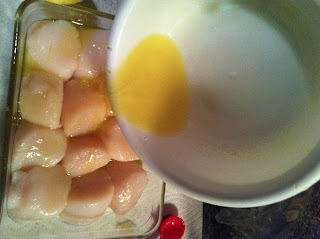 Pour all over scallops. Cut the other half of the lemon into thin slices and arrange between scallops. -In another small bowl, mix together panko, parmesan, and spices. Sprinkle all over scallops. Had company for dinner last night and made this...so good! We also love the chicken with roasted grapes, thyme, and goat cheese which is quickly becoming one of the family favorites. 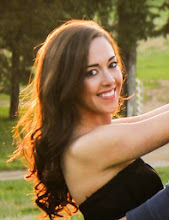 Hope you guys are doing well, and I am really enjoying your blog. Where do you find the time?